The country’s leading provider of aluminum canopy systems needed help building a solid lead-generation foundation. Mitchell Metals, LLC, is the country’s leading provider of extruded aluminum canopy systems in the United States. They not only engineer and ship pre-fabricated material throughout the country, but they also offer installations to clients within a 5-hour-radius of their headquarters near Atlanta, GA. 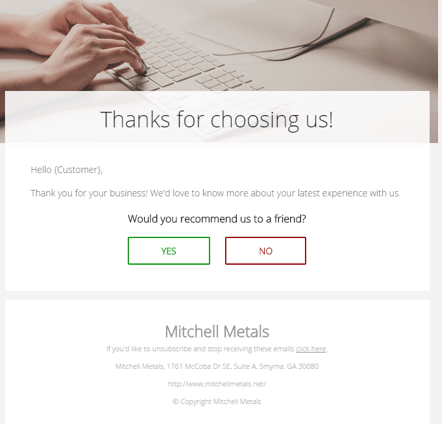 Despite their leadership in their industry, Mitchell Metals felt as though their website was not performing as well as it could be as the company’s chief marketing engine. For example, the client spent considerable time crafting architectural drawings, making them available on their site as a lead generation tool. They wanted to increase the number of downloads of these drawings, as well as, more directly, increase the number of Contact Form submissions and phone calls. One of the first tasks we performed was an overall content and strategy audit to determine which assets performed well and which drove the highest number of conversions. Our audit also allowed us to analyze the client’s existing SEO and PPC strategies so that we could make adjustments where needed. Despite our client being a national company, we wanted to improve Mitchell’s standing within Local SEO searches. Local searches remain a key focal point of Google, so we knew it was important to implement some proven strategies for quick wins. But also monitoring it on a monthly basis to ensure consistency and visibility. This Google My Business page not only increases the chances of our client ranking for local searches but also allows their past and current customers and easy platform to post reviews and ratings. 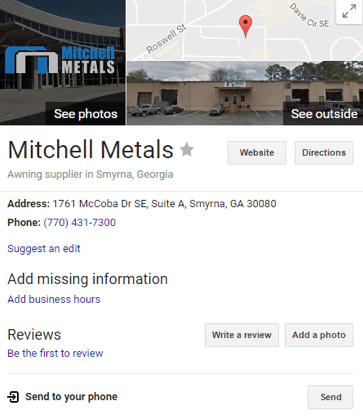 Of course, Google My Business isn’t the only place where Mitchell Metals needs to have a presence. Across the web, there are countless industry-related directories and sites that our client should be listed on to improve how easily they can be found online. At the center of all this are the keywords our client wants to rank for. Prior to implementing a thorough SEO strategy, we refined our client’s keyword list, which provided us a narrow focus for our content. Our SEO and Paid Media teams worked side-by-side to develop a comprehensive list of long-tail key phrases that would deliver results. Using those keywords, we then crafted an editorial calendar to ensure consistent blog posting, third-party posting, and influencer outreach, all in an effort to increase traffic and links to our client’s site. Now, with our SEO strategy underway, we were able to tap into the resources of our reputation management team, whose sole focus is to employ both a proactive and reactive approach to ensuring our client’s brand exuded a positive experience for anyone who came across it online. Our team’s reactive approach to reputation management involves the use of state-of-the-art technology and platforms designed to allow us to monitor every mention of our client and their offering. This 24-hour watchdog approach allows us to put out fires before they get out of hand, and capitalize on positive reviews that we can use elsewhere. That’s not necessarily uncommon, and while every business wants reviews, 0 reviews are certainly better than 1 negative one. Understanding now that our team need not focus on reactive management (yet), we were able to shift focus to a new goal: getting positive reviews for our client. This includes the collaboration of our entire team, from our reputation management specialists to our marketing strategists, content creators (text and design) and web developers. When working with a new client, it’s difficult to assess what types of reviews a past customer might leave, thus we avoid sending a blanket email to past customers asking for a review and directing them to a site (such as a Google My Business page). We’re extremely confident in the performance of our SEO strategies; however, we fully understand the importance of supplementing our organic strategy with paid search campaigns. 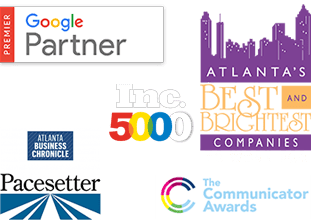 The use of paid search allows our clients to enjoy the full and immediate coverage on the same keywords and phrases we build our SEO campaigns around. And in the case of Mitchell Metals, that’s exactly what’s happened. 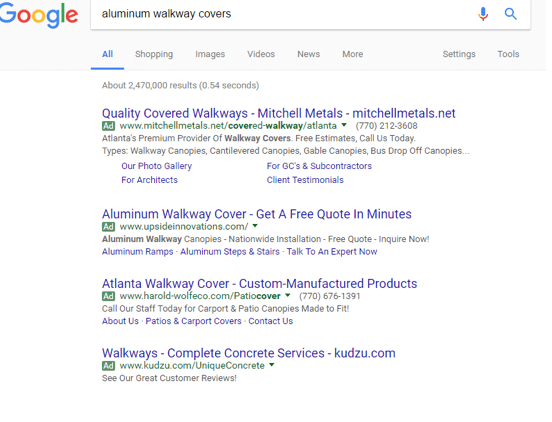 We developed PPC campaigns that focused on these specific goals; however, we also used paid search as a way to give Mitchell Metals out of market visibility in national target areas. The thing about paid search is you could easily blow through your budget if you don’t constantly monitor your campaigns in a goal to achieve the greatest return for the lowest cost. Our primary goals are to increase downloads and phone calls while balancing our optimizations with the lowest practical Cost Per Acquisition (CPA). 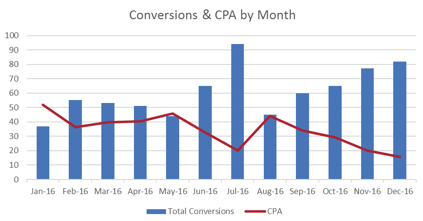 This graph represents the work we’ll continuously do for our client, not just with paid search, but overall with SEO, Reputation Management and beyond. What works today may not be effective tomorrow, which is why every strategy we put into place is built by agile design: we know that we’ll be making changes over time as data and trends dictate. Our multifaceted approach to digital marketing has made it possible for Mitchel Metals to see a dramatic increase in qualified leads visiting their website, through organic search rankings and PPC ad campaigns. As these leads continue to grow, we’re certain that in conjunction with our client, we’ll come up with new goals to help Mitchel Metals continue their dominance in their industry.